If you want to get a good impression of who John Roulac is, take a look at his profile on the Nutiva website. There are no Breitling wristwatches or oxblood shoes visible in the picture. Rather, Roulac sits shoulders deep in a sun-baked chia field wearing a buttonless, aquamarine-colored Guatemalan shirt. For having a fashion sense closely associated with flower power, it may be hard to believe that Roulac, a longtime Bay Area resident now living in Point Richmond, is CEO of the largest organic superfoods company in the world, with growth projected at $1 billion for the year 2025. Before ‘disruption’ and ‘social responsibility’ were Silicon Valley buzzwords meant to put a face on faceless companies, John Roulac embodied these terms, and still does today. As CEO of Nutiva for almost 15 years, Roulac has not only been outspoken about health fads and mainstream environmental causes, but has thrived on them, creating an empire. According to Inc. magazine, Nutiva revenue has grown 482 percent in the past three years. In 2012, it brought in $12 million. In 2014, Nutiva is projected to take in more than $100 million. The rapid growth has already forced the company to move their operations from Sebastopol to a larger warehouse on Cutting Blvd, and when I visited the plant, there was little room between the food processing facility, the outgoing shipping boxes and the cardboard repurposing unit. Roulac speaks more like a botanist than an empire-builder. While Nutiva’s greatest challenge could be scaling their operations to accommodate their massive growth, he’s the kind of guy that would shut down a construction site to save a dandelion. Entrepreneurialism has always been second nature for the California native. By the time he was a teenager, he had several ventures going, but his success really took off when he started combining his entrepreneurial acumen with his love of the environment. Roulac’s concern for the environment rose significantly when, decades ago, a truck carrying radioactive waste spilled near his California home. Nutiva is a darling of the talk-show circuit and beloved by disciples of California’s New Food movement. Its popularity stems in part from its obsession with being organic—the perfect approach to a clientele now wary of high-fructose corn syrup and whatever polysyllabic gibberish may end up on the ingredients list. Coconut oil is the 15-year-old company’s bread and butter. While it still maintains Grey Poupon status in the cooking-oil market, the oil’s appeal is its versatility. You can spread it on toast, put it in your stir-fry, brighten your teeth with it and dab it on like skin cream. Even gynecologists have noticed a rise in patients using it as lubricant. As a killer app for the kitchen, coconut oil sales have skyrocketed. As irony would have it, the raw product is in such high demand for the company that it now shows up at the processing facility in petroleum-grade barrels. Were it not for the light, nutty aroma wafting through the plant, you might think Nutiva was producing a whole different kind of energy. When I asked Roulac about them, though, he reverted straight to the potential for sustainability. “We’re repurposing (the barrels) for water catching in the city of El Cerrito,” he said. In the decade and a half dominated by the Atkins, Long Beach, 100-Mile and Paleo diets, Nutiva has not only not only remained in the black, but has also found ways to accelerate growth. A major contributor to its success, says Roulac, is its unrelenting focus on environmental advocacy. For many CEOs, corporate social responsibility is often the stuff of good PR. On the other hand, Roulac seems more like an environmentalist who just happens to be building an empire right here in Richmond. His first successes were in the book-writing business. During the 1990’s, Roulac published four books. One of them, Backyard Composting: Your Complete Guide to Recycling Yard Clippings, went on to sell over a half-million copies. As an instructional guide, its success was its versatility. He sold many of the copies in bulk to municipalities trying to promote composting en masse. The book remains the central theme of Roulac’s environmental activism: soil. The problem, he argues, is not necessarily what we put into our bodies, but what is happening to the soil where we grow our produce. Roulac helps his Point Richmond community at the grassroots level, literally. Nutiva works with Common Vision, a local environmental collective, in agricultural projects around the city. Together, they have committed to a goal of planting a fruit orchard at every school in Richmond. Leo Buc, a longtime friend of Roulac’s and a member of the local gardening collective Common Vision, echoed his obsession with promoting healthy growth within the community. His social change doesn’t stop at the garden gate. In fact, he has campaigned for environmental causes such as hemp legalization and GMO labeling in courtrooms from Sacramento to Kentucky. When Roulac started his company in 1999, he was almost immediately met with problems from perhaps the most intimidating of regulatory agencies, the DEA. After blocking a shipment of hemp from Canada, he sued the federal government. “We sued the fed because they equated hemp bars to heroin,” he said. As marijuana’s non-psychoactive cousin, hemp is consistently confused with the drug, but its purposes vary from the culinary to the industrial to the mundane. Not only did Roulac win the case, but he also paved the way for hemp importation within the United States. In 2011, the total value of non-industrial hemp products was more than $150 million, according to the Agricultural Marketing Resource Center. In 2013, Roulac appealed to the state of Kentucky to legalize the cultivation of hemp, a crop legal in virtually every other country on earth. While the bill drew bipartisan support and even an endorsement from Rand Paul, its regulation was delayed until further research could be done by local universities. Farmers in the Bluegrass State have sought alternatives to dwindling tobacco crops, and some lawmakers have even argued that the fibrous plant makes a better horse bedding than wood shavings. Still, hemp growth has so far been restricted to universities. But Roulac foresees the crop becoming a staple of American agriculture. “We see within 10 to 20 years you could have three million acres of industrial hemp in the U.S.,” he said. That’s roughly the size of Connecticut. But Roulac did not stop there. After trying to establish the country’s hemp industry, he moved to fighting genetically modified organisms (GMOs) in California. For Roulac, Monsanto and big agriculture is a far bigger foe than their bottom line. The Nutiva website features many articles openly vilifying Monsanto for their policies on agriculture. In one piece, Roulac calls the major agricultural companies a “cabal of war-chemical giants” and compares the anti-GMO plight to the Civil Rights Movement of the 1960s. In 2012, Roulac pledged his support for Proposition 37, a statewide bill that would require agricultural companies to label products that contain GMOs. Had it passed, California would have become the first state in the country to force corporations to notify the consumer. Roulac donated $100,000 in support of GMO labeling. Monsanto donated over $8 million to oppose it. The bill narrowly failed to pass. But instead of conceding defeat, Roulac fought back. Soon after the loss, he founded GMO Inside, an organization geared towards the cause’s massive online community. GMO Inside leverages a large social media following to criticize and attack other companies that use GMOs without notifying consumers. The site, which contains promotional ads featuring celebrities like Danny Devito and Bill Maher, identifies companies using GMOs. They also shame them. One of their first major targets was General Mills’ Cheerios brand. As one of the companies that opposed Prop 37, Roulac felt they won the battle, but not the war. In 2012, a social media army of tens of thousands swarmed the Cheerios Facebook page and pressured the cereal company to drop GMOs from the product. Earlier this year, General Mills bowed to pressure from anti-GMO activism and removed genetically modified ingredients from their Cheerios brand. Roulac saw this move as a small victory in a long battle with big agriculture. Amid the furor over GMOs, I spoke to David Zilberman, a professor at Berkeley’s Department of Agricultural & Resource Economics. Zilberman has been skeptical of the recent GMO outcry in California, as he believes that they are not only safe for consumption, but better for the environment too. “To be anti-GMO is not only ignorant, but dangerous,” he said. Zilberman explained that organic farming and organic dieting can work in California, but not in developing countries struggling with malnutrition. Zilberman cited golden rice as an example of the benefit of genetically-modified seeds. Golden rice is a crop artificially infused with beta-carotene, which increases the production of vitamin A during photosynthesis. Many parts of the developing world—including countries where Nutiva imports raw ingredients from—suffer from a deficiency in vitamin A. “Organic is nice for the California middle class but far too costly for the poor,” said Zilberman. On the other hand, Roulac believes the problem does not require such an elaborate solution. Meanwhile, GMO Inside’s next targets include Sabra, a popular hummus producer, and Chobani, one of the largest yogurt companies in the country. Still, Nutiva’s greatest challenge seems to be committing to its ideals while growing at a Silicon Valley pace. 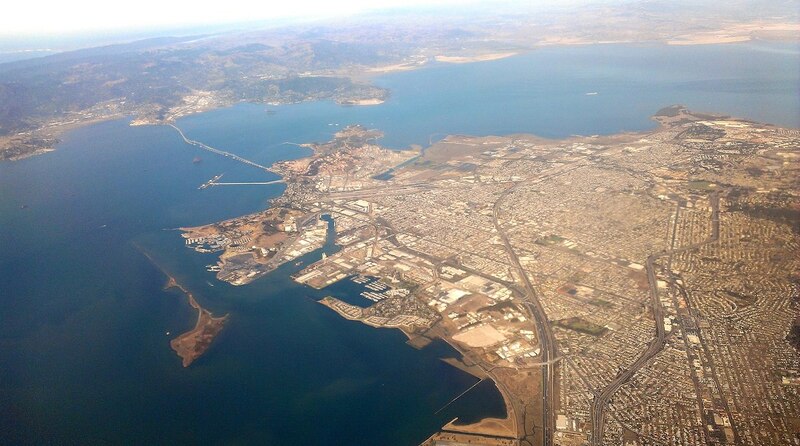 Unlike most startups lining the Bay, it has resisted corporate acquisition and committed to remaining independent. It’s difficult to fathom how Roulac manages to run such a fast-growing growing company while also campaigning so arduously in courtrooms around the country. But at the core of this juxtaposition is a business model as innovative as Silicon Valley itself. “Just combining the entrepreneurial drive with social change and environmental change—it’s the best business model that there is. Companies that follow this, like Nutiva, Patagonia or Tesla, are seeing increased market share,” Roulac said. If hemp farming is legalized, or if GMO labels become a staple in major supermarkets, then Nutiva will have an immediate leg up on competition. The company’s uniqueness is in its willingness to carve value out of regulation and to attack those they see as committing environmental injustice. But Leo Buc believes Roulac genuinely puts the environment before the bottom line. Is your company traded on the stock market? If so could your let me know your stock symbols. We believe in your mission and would like to have an investment in your companies future. We think by supporting you in your endeavor we will asure that our grandchildren will be able to have access to healthy foods in the future. Think you so much for what you are doing. I said it before… It would be nice if just use Richmond, CA in your community address. Work to improve Richmond, CA.